Black Print Ruched Front Blouse is rated 4.8 out of 5 by 8. Look great this season in this gorgeous ruched-front blouse. The blouse features ruched detailing to the front along with a ruffle hem. Rated 5 out of 5 by Paula from Super comfortable. 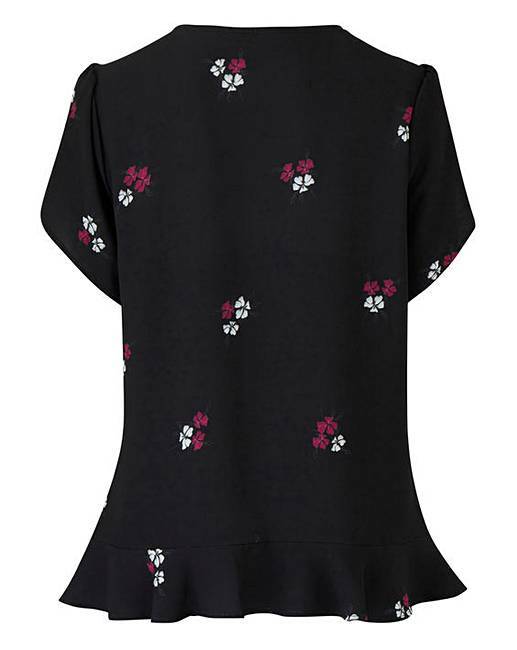 Gorgeous top ,really comfy and hides your lumps and bumps. 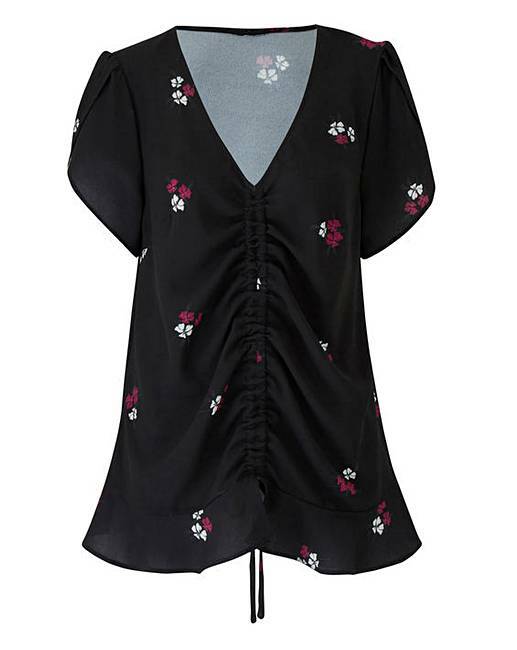 Rated 5 out of 5 by Susan62 from Simply Be Black Print Ruched Blouse This is a lovely top and fitted me perfectly. I did order the same top in magenta but the colour was not to my taste. However, I am more than happy with the Black one. Rated 5 out of 5 by Milly 66 from Pretty Top Good fit on my top heavy frame, flattering and nice fabric.